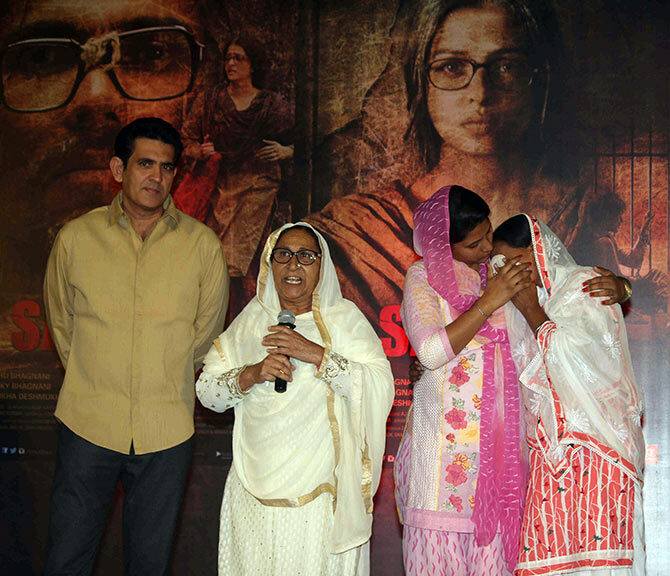 The Sarbjit team recently got together to pay homage to the real-life Sarabjit Singh on his third death anniversary on May 2. Singh, an Indian national, had been falsely convicted of terrorism and spying by a Pakistani court, and died in prison. 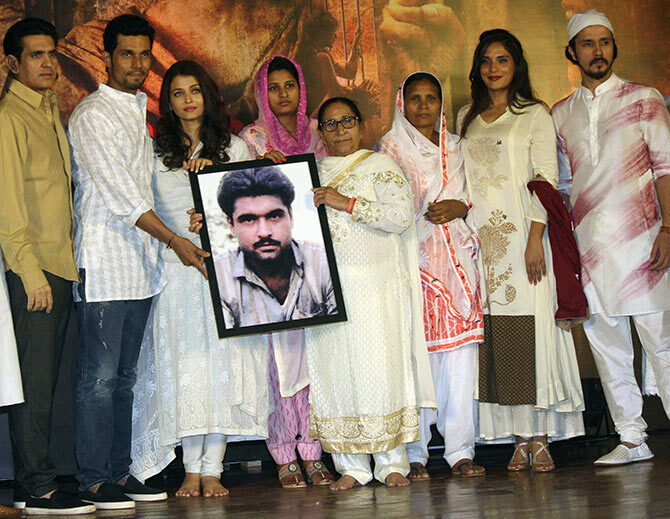 Held at the Iskcon Temple Auditorium in Juhu, a western suburb of Mumbai, on May 4, it was attended by Sarabjit's family -- his sister Dalbir Kaur, his wife Sukpreet Kaur, his daughter Poonam Singh -- and the film's cast -- Aishwarya Rai Bachchan, Randeep Hooda, Richa Chadda, Darshan Kumar and director Omung Kumar. Also present were the producers Bhushan Kumar, Deepshikha Deshmukh, Sandeep Singh, Jackky Bhagnani and Vanita Kumar and screenplay writer Rajesh Beri. 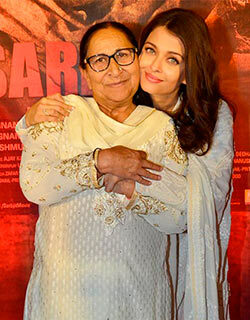 Aishwarya Rai Bachchan has formed a bond of sorts with the person who has inspired her character in the film: Dalbir Kaur. Hymns from the holy book Guru Granth Sahib were recited. Randeep Hooda, who plays the title role, has worked quite hard for the film, losing weight and applying a lot of body makeup. 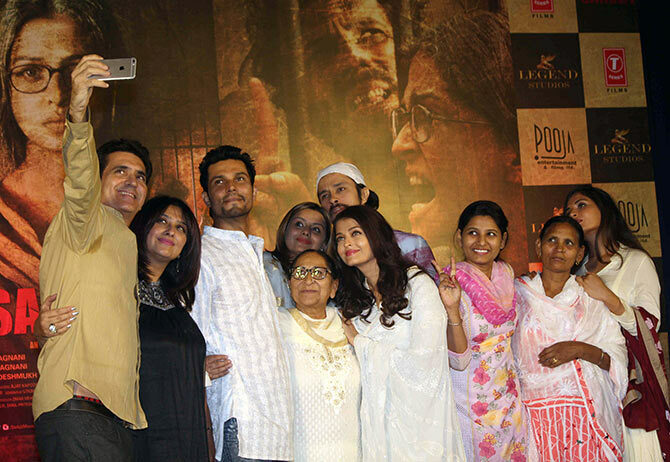 Darshan Kumar plays Sarabjit's Pakistani lawyer Awais Sheikh, who tried to help him, free of cost. 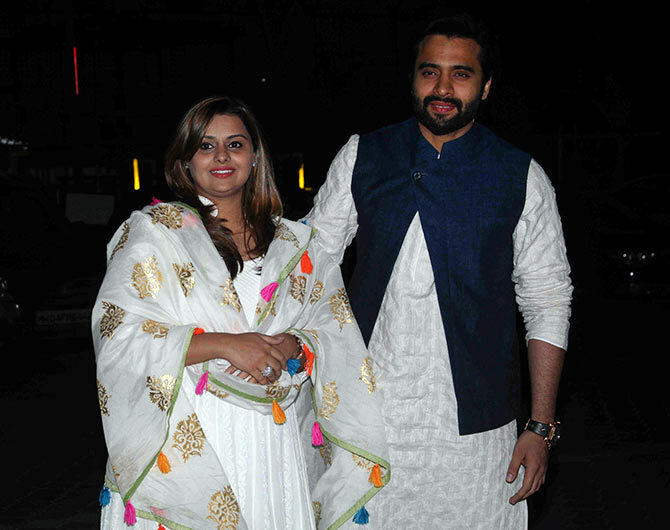 Producer siblings Deepshikha Deshmukh and Jackky Bhagnani. Interestingly, Deepshikha is married to Riteish Deshmukh's brother Dheeraj. 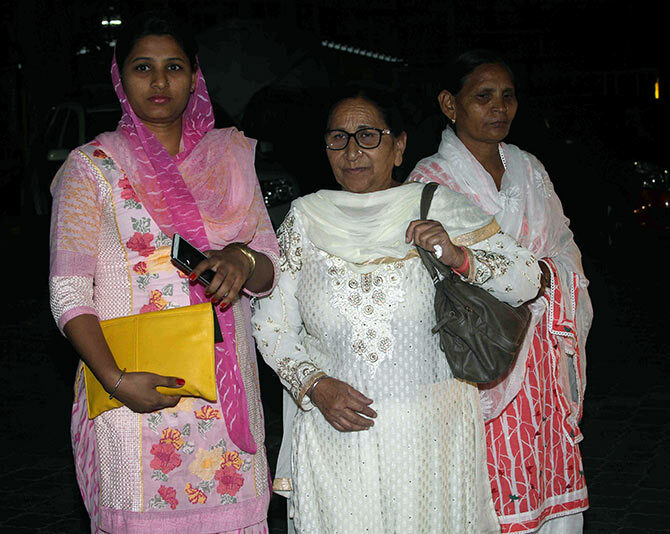 Sarabjit's family: daughter Poonam, sister Dalbir Kaur and wife Sukpreet. 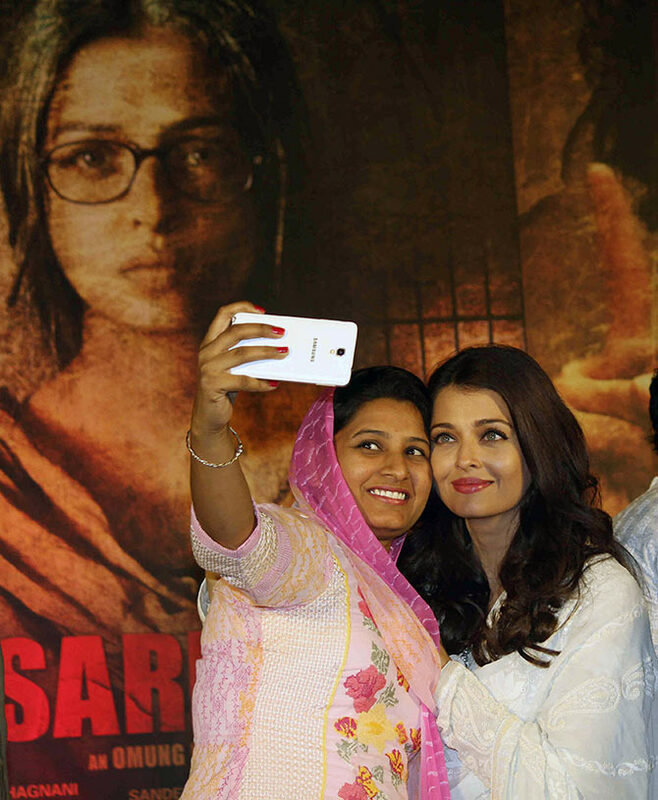 Poonam takes a selfie with Aishwarya. 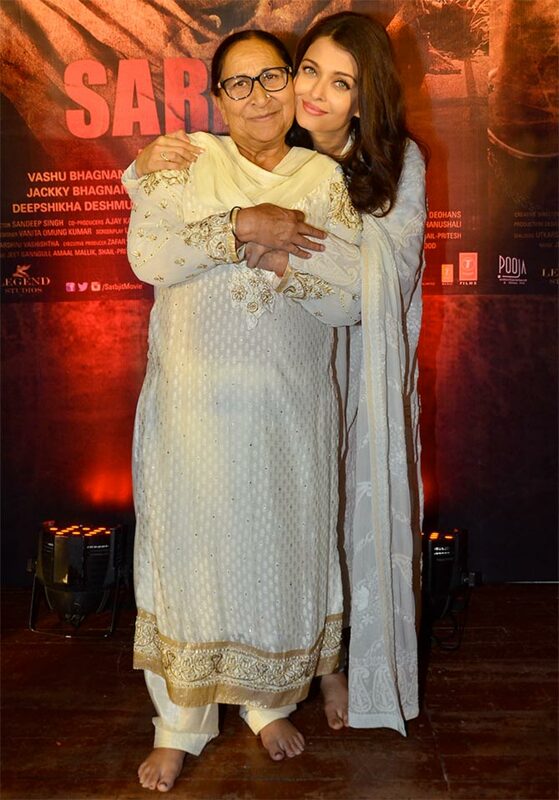 Dalbir Kaur shared her thoughts on the film and cast at the event, and also acknowledged everyone for their love and support. 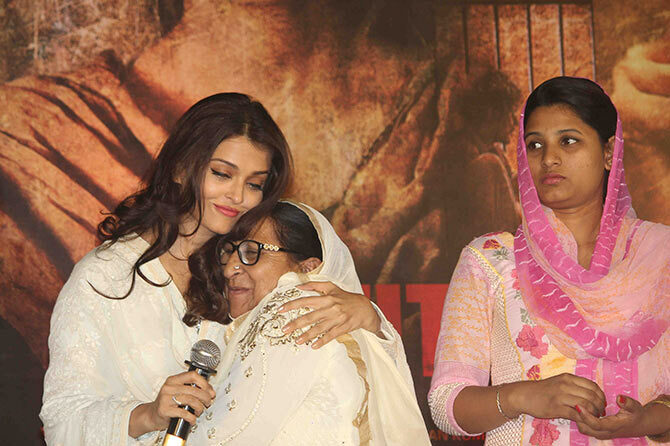 Sukhpreet gets emotional during Dalbir's speech, and seeks solace in her daughter's arms. Richa Chaddha plays Sukhpreet in the film. The real and reel characters pose together for a picture.